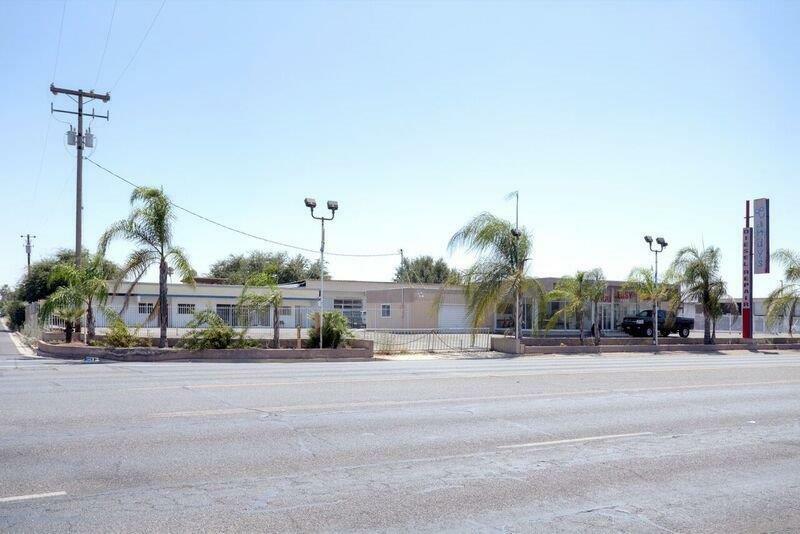 Rare opportunity to Own Prime Commercial Real Estate on the main artery through Dinuba. Very desirable and heavy traffic area Located on a Large Corner. Situated on 1.09 acres zoned C-4 commerical. Currently being used as a diesel mechanic shop, previously a car dealership. Front building has been used as showroom and office. Property also includes an office and store attached to the shop in back. 152 foot shop to store. Consists of 8- 12ft wide bays and 2 open. 2- 11,000 lb lifts and 1 - 8,000 lb lift, built in electrical, water and air, as per seller. Contact City of Dinuba or Dinuba Chamber of commerce for more info on future development in the area. Drive by to take a look and call us for an appointment. Can be sold separate or with APN -039 and 018-140-040 which adds up to 5.74 acres as per tax records, buyer to verify. Seller open to financing or Long-Term Lease. Bring your Offers/ideas. Don't miss out on great location and opportunity for your business.